If using the Nationality document return service, it is possible for you to apply for your British passport at the same time. If your current details do not match your identity document, you cannot apply for a passport at the same time. Any application made where details do not correspond may be refused a British passport. 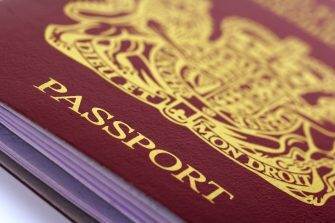 Your local authority can provide further advice on how to apply for a British passport by using the nationality document return service. If you wish to apply for a passport at the same time as citizenship for your family members, anyone over the age of 15 years and 6 months will need to attend the appointment in person.